Purple Afghan Kush satisfies all senses of the passionate cultivator. It’s not only an aesthetic sensation due to magnificent purple/lavender hues during flowering but also an experience for our sense of taste and smell. Purple Afghan Kush offers a delicious blend of fruity flavours with hints of freshly-cut pineapple. Indoor yields of up to 500g/m² are feasible in a flowering period of 60 days. Dinafem used two remarkable Indicas to create Purple Afghan Kush. The first plant they used is Purple Kush: a purebred Indica emerging from Oakland, California. It’s a strain ranked among the Top 10 most powerful strains in the world by High Times Magazine. Purple Kush stays relatively compact and is partly responsible for giving Purple Afghan Kush its beautiful appearance. Pre’98 Bubba Kush, the second parent, is equally potent and almost a pure Indica (85%), known for combining citrus flavours with a very strong, sedative stone. Purple Afghan Kush stays compact in size, is resistant towards challenging conditions and easy to grow. Bud development takes place at a fast pace, resulting in indoor yields of up to 500g/m² in a short flowering period of 60 days. Its blossoms show a very high density, ensuring a nice appearance of the final product, not to mention the beautiful purple/lavender hues that are visible in the flowering period. Growing Purple Afghan Kush outdoors is a very good idea that results in harvests of up to 600-800g per plant in late September to early October. Purple Afghan Kush has fruity scents and flavours that resemble freshly cut pineapple. The effects are typical for a purebred Indica – very calming and deeply relaxing for both body and mind. It’s a very good smoke to unwind after a stressful day due to its ability to release tension. Especially when cannabis users choose to smoke larger quantities, nothing will stand in the way of a quickly reached and unbreakable couch-lock. Purple Afghan Kush is an excellent example of an almost purebred Indica that makes growers’ hearts beat faster just by looking at it. When these buds are dried, cured and ready for the first test, excitement shifts to a comfortable, peaceful tranquility. 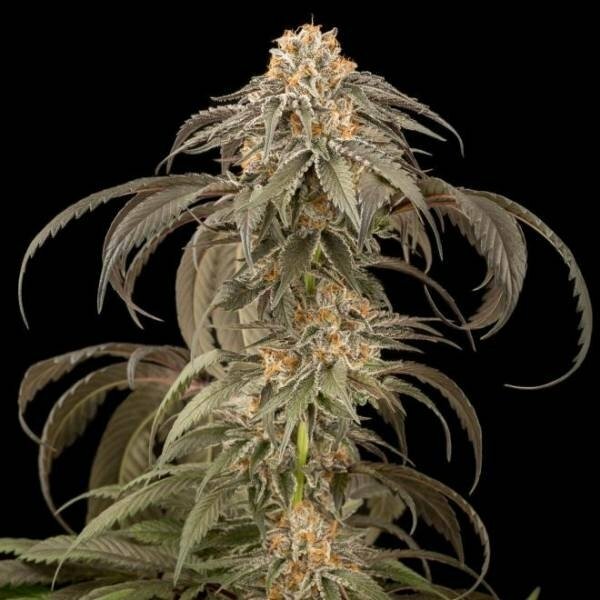 Purple Afghan Kush is truly a strain for sophisticated connoisseurs – it combines potent US Indica genetics with European breeding know-how by Dinafem's top breeders. Its a very unstable Plant/Strain, it will hermie on you even on the lightest type of stress. Ruined my harvest because of late flower hermies, weed was full of undevolped micro seeds which made the weed unsmokable. Yield is also a joke. Got 200 Grams @ 1m2 @ 600 Watts The end product would be fire if it would be seed free. Leider ist nur einer von drei Samen gekeimt. Ein Samen war bei Lieferung bereits beschädigt ( aufgebrochen ). Sowohl dieser als auch ein zweiter sind nicht gekeimt. Der Dritte befindet sich z.Z. im Wachstum, ist mittlerweile knapp 2 Wochen alt und entwickelt sich sehr gut.